In his condolence message, MrRao said Atal Bihari Vajpayee was as a great parliamentarian. K. Chandrasekhar Rao described Vajpayee''s demise as a great loss. 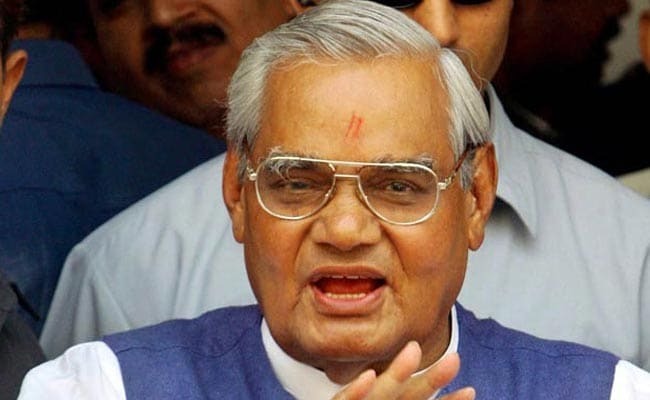 Telangana Chief Minister K. Chandrasekhar Rao said former Prime Minister Atal Bihari Vajpayee, who died on Thursday, led politics with highest standards and stood tall as a role model for the country and the world. In his condolence message, Mr Rao said Atal Bihari Vajpayee was as a great parliamentarian. He described Vajpayee''s demise as a great loss. "He was a liberalist, humanist, poet, orator and a man of simplicity. He stood for what he has believed for his entire lifetime," said the Telangana Rashtra Samithi (TRS) President.